PUBG is the most popular game played on smartphones in India. About 73.4% of the game plays in this game. It was launched last year. Since then, it has been able to make its strong identity among the users. Its mobile version was launched in March this year. The popularity of this game has reached the limit where people are now making it a way to talk everyday. Many professional gamers are emerging through PUBG. Game tournaments are also organized on PUBG's web and mobile versions. They are also played on the international scale. Internet service provider Jana has told in a research that PUBG is eligible to say this year's most popular battle game. 1,047 Indian users voted 61.9 percent, or about 62 percent, to make PUBG the most popular game. Talk about the second number, then there is Free Fire on this number. It has won 21.7 percent of the vote. At the same time, PUBG's Comptitter Fortnite got 8.5 percent votes, which is why it is at number three. 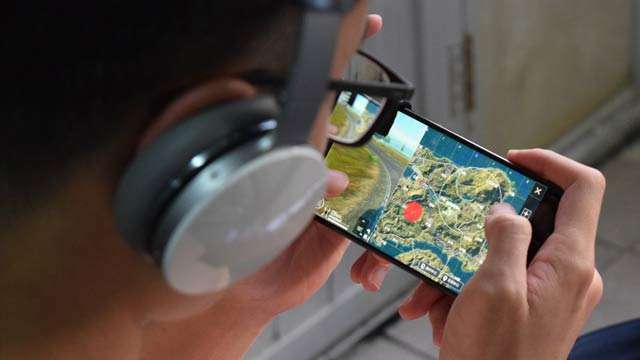 It is also mentioned in this research that why Indian users play this game and 46.2 percent of the users think that this game is better than others. While 24.5 percent of the users play it because people are talking about this game. According to the research, 24.3 percent of the users play PUBG more than 8 hours a week. After this, 19.4 percent of the people play two to four hours a week, 16.3 percent of the people play games 4 to 8 hours. At the same time, most of the game in India is played at night. Apart from this, the biggest thing is that about 40 percent of the people use it as social media. Not only that, nearly 80 percent of the people are buying clothes and weapons in the game by paying them. This is changing the trend of Indian gaming community. This can be called a positive change. There are some users who do not play this game because the size of the PUBG app is quite large. The reason for these users is reasonable because most Indian users use budget smartphones which do not come with much storage.